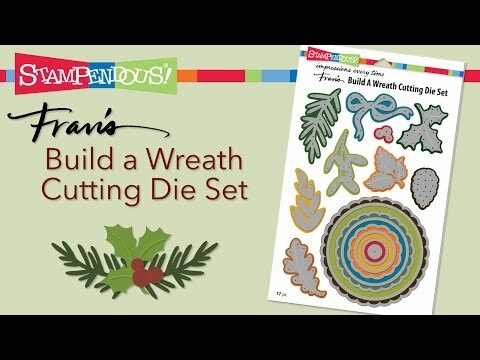 This 17 piece cutting die set can cut wreath bases in many sizes, nestable scalloped circle and plain circle layers for any project, as well as leaves to layer for wreaths for spring, summer, winter and fall. top it off with a charming bow or some holly berries. Largest Scalloped circle measures approximately 3-3/4”. Made from premium, stainless steel with cutting edge exactly on the inside of the image space to cut with no white border. Images designed and copyright Fran Seiford and Stampendous. Made in China. Build A Wreath Die Set was added to your cart.